Growing up in a Christian home, Amy Peterson was enamored by missionaries—the heavenly heroes. By the time she graduated from college, she was ready to set the world on fire. Seeking her own adventure and desiring to share her Savior, she landed in Southeast Asia to teach English and share Christ privately. God used both incredible miracles and heartbreaking disillusionment to demonstrate that Amy’s surrendering to Him was more important than anything she could “do” for Him. Part spiritual memoir, part travelogue, and part love story, Amy’s captivating tale of learning to live her faith will encourage you as you find your place in this world. This book will resonate with the millennial generation and anyone who has wanted to make a difference in the world. 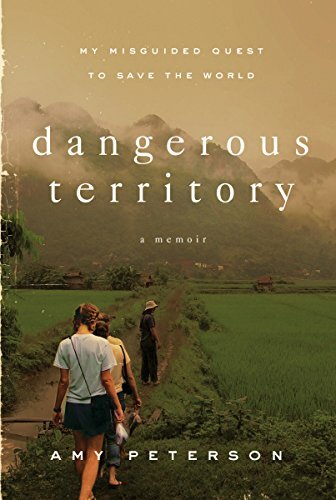 Dangerous Territory may also challenge you if you grew up in the church but struggle to align your faith with the realities of adult life. View More In Leaders & Notable People. Glimpse Into Glory (A Spirit-Filled Classic): Stories From The "Woman Of Miracles"